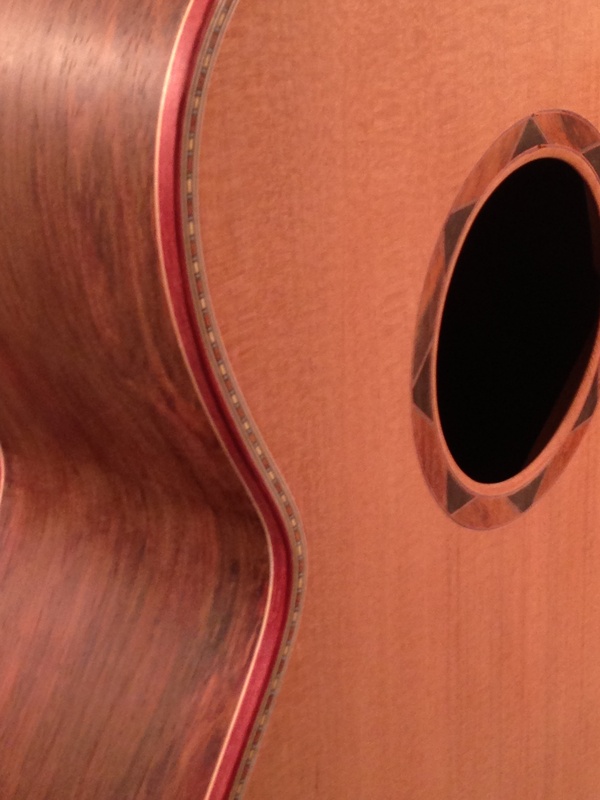 Well I have completed the binding on this acoustic. Although I planned on using a cocobolo binding, it turned out that there was not enough of a contrast between the binding and the body. Also I was not pleased with the quality of the material I received from my supplier and sent it back. I ended up using a bloodwood binding with a maple laminate. Today I fit the neck to the body. It was a nice fit and required very little adjusting to get it in line and at a proper angle to the body. Taking my time when cutting the tenon and angle there saved me lots of work in the final fit. Next it’s on to the fret work, nut and making the bridge.